Our dog poop DNA matching service is the permanent solution to significantly reduce or even eliminate the problem of dog waste at managed communities. Join more than 3,300 properties using PooPrints® to ensure a clean community, improve the bottom line and increase resident satisfaction. Reduce maintenance requirements and eliminate POO-lution. We create an online community database of registered dogs for your property. Using PooPrints Dog DNA Test Collection Kit, each dog’s unique genetic profile is uploaded to the property’s private and secure database provided through the DNA World Pet Registry. Once all dog DNA tests are completed and registered, an un-scooped pile can be matched to the exact dog and the owner can be contacted. Using a PooPrints Waste Sample Collection Kit, collect a nickel-sized amount of the dog waste. 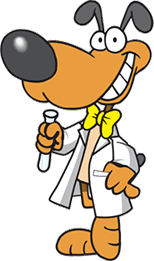 Return the sample in its re-sealable bag to BioPet Vet Lab for PooPrints Sample Processing DNA dog test. A unique genetic profile is generated from the waste sample and can be matched to the dog DNA profile of the offending dog. With PooPrints in place at your Denver Metro community and dogs registered, you will notice residents scooping their dog’s waste instead of leaving it behind for you and your maintenance staff to cleanup. Common areas become CLEANER & GREENER! Who else is DOOing it?